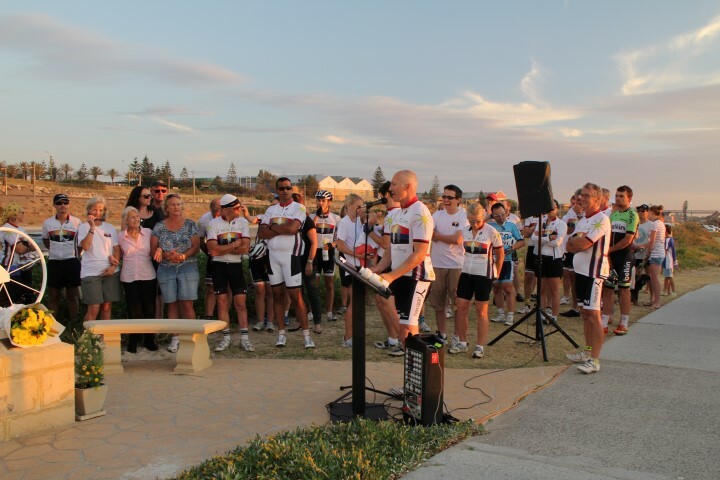 Following on the success of the First Tim’s Ride in 2012 there was pressure on the committee to ensure another memorable and significant event. The chaos caused by Elizabeth Quay road works meant that the A Route from 2012 starting at Langley Park could not be considered and a new plan was needed. 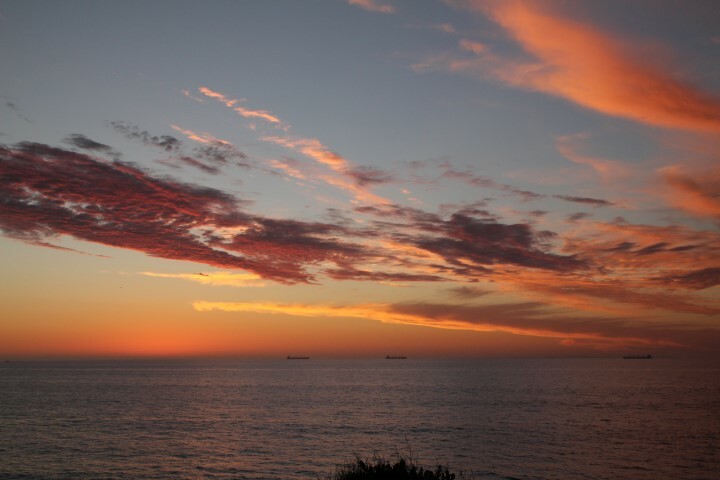 We could only hope that the weather would be a little kinder. 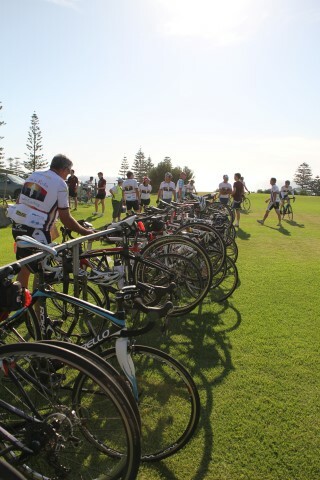 In perfect weather riders and support crew assembled on Harvey Field and gathered in friendly groups enjoying the beautiful scenery and company. 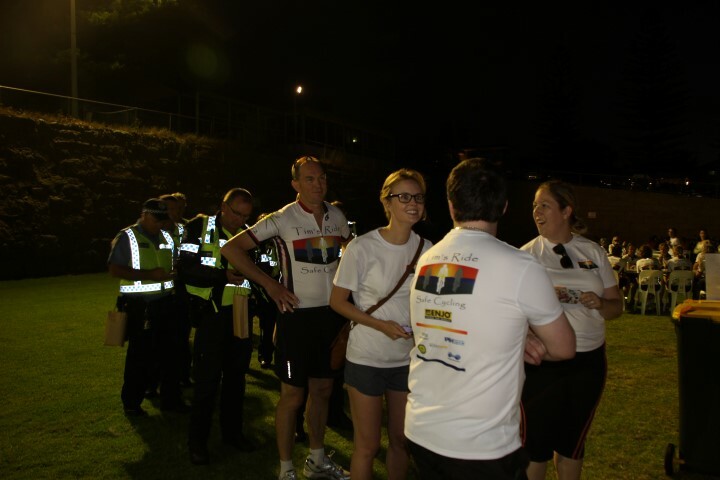 The final briefing by Director Peter Trench was followed by safety instructions from Sergeant Simon Baxter who included a description of the Green Light corridor that would be created and how the riders would be protected by the surrounding Police Cars and Motorcycles. The riders assembled in their pelotons and walked out of Harvey Field under the BWA Banner around the corner to assemble in Broome street. 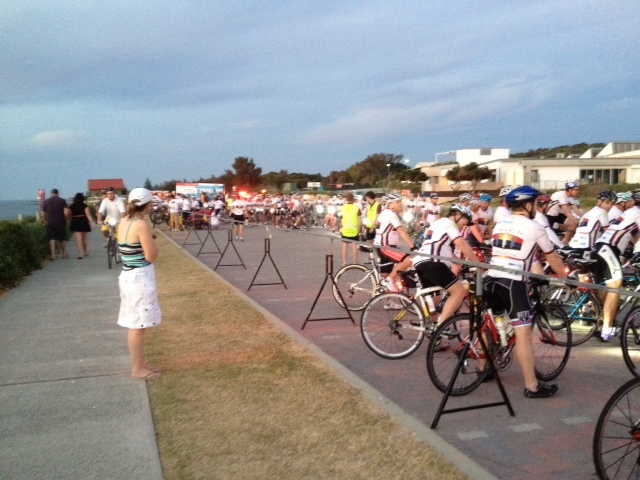 Although riders were in specific pelotons ( Anderson Family and Friends, PIHC, Ride for Youth and Scotch college students) there was to be no gaps between peloton groups so the line of riders 2 abreast was impressive. Just after 5pm the start was announced and the whole procession mounted up. Like last year the lead vehicle was a police vehicle with the co-driver in direct communication with road traffic control to trigger the traffic lights. Accompanying them was Ride Director, Mick Girando , in radio contact with the support vehicles and team leaders. Following the police vehicle was Ray Hunt in his giant Hummer decorated with Tim’s Ride banners and accompanied by Enjo’s CEO Barb De Corti who was injured and unable to ride this year. 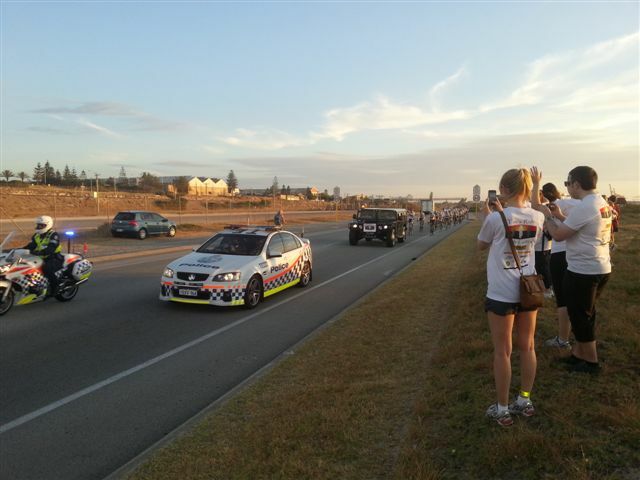 The immense peloton stretched about a kilometre and was followed by the support vehicles (PIHC Medical driver Di Beveridge,, Parker Cycles Breakdown – Dennis Lightfoot and Budget Sweeper Vehicle driven by Marco Dilanzo). 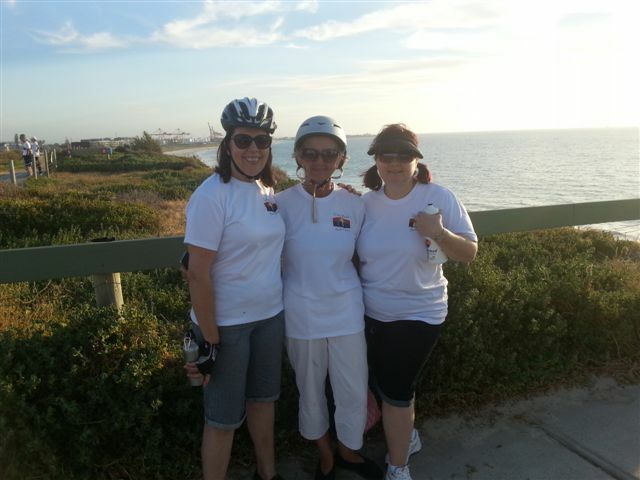 The route ran over to Stirling Hwy east to the University of WA then along Hackett Drive around the river to Claremont, down Stirling Highway to Fremantle then along Tydeman Rd to the Beach, then along the coast to Tim’s Memorial. The family ride congregated at Rouse Head under the direction of Michael Metcalf then set out in small groups to ride north along the coast mainly on cycle paths. 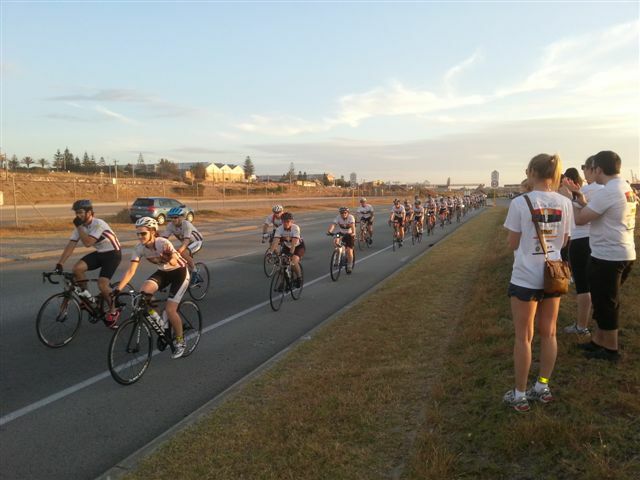 There were young children and even tagalongs enjoying a very social ride to reach Tim’s Memorial shortly before the A Route pelotons began arriving. 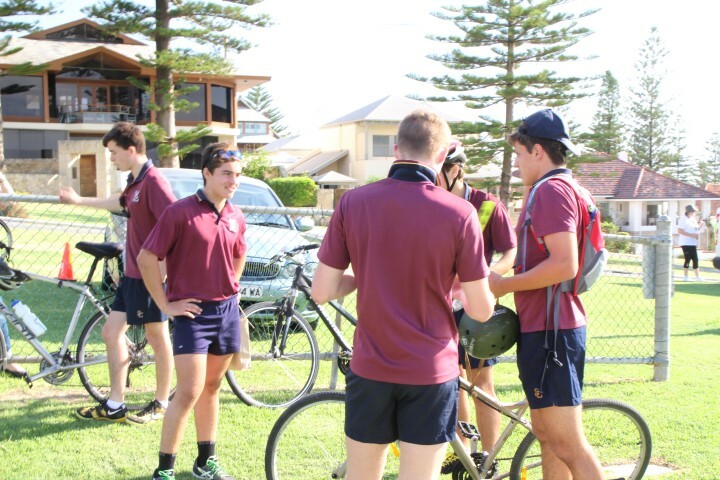 Cyclists were directed to Rack bikes by Scotch college students. The two groups came together at Tim’s Memorial just before sunset. 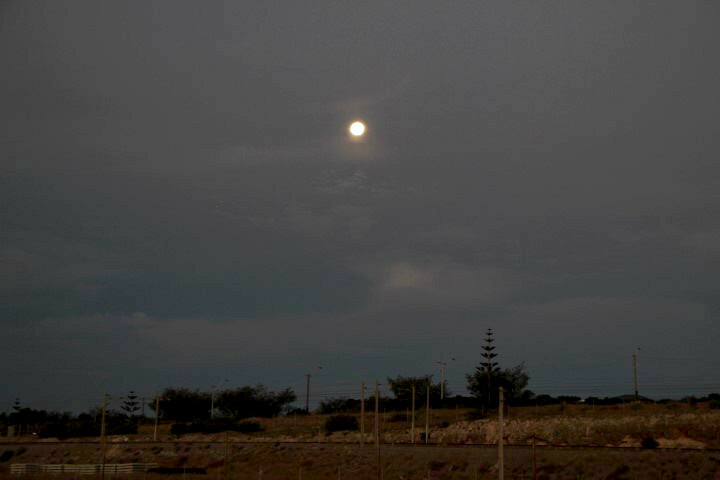 The weather and sunset was perfect and there were Dolphins playing in the sea directly out from the gathering and the full moon was rising. 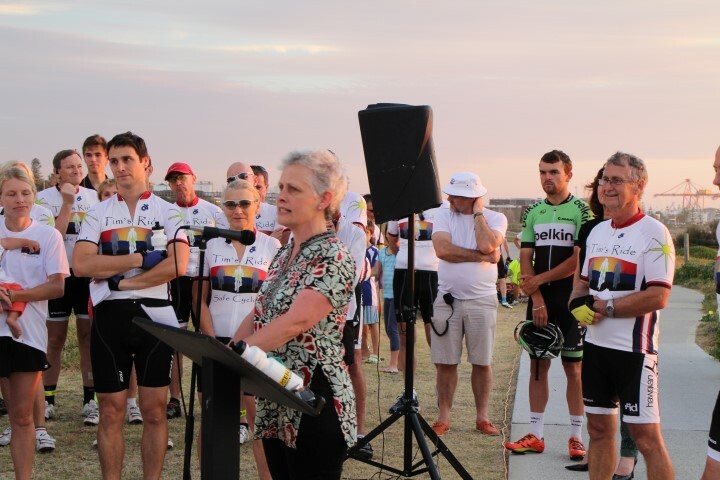 The master of ceremonies James Sutherland introduced Libby Eustace , councillor from Town of Mosman Park and bike rider, who welcomed everyone and commented on Mosman Parks commitment to cycling and Tim’s Memorial. Benjamin Anderson spoke about his brother Tim – his life and his attributes and how they could be related to road safety. 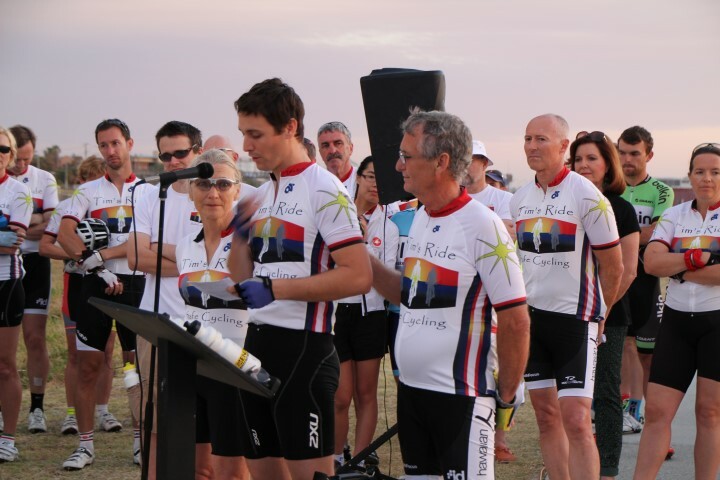 Tim’s dad ,Ian, spoke about the terrible events of Tim’s Death, the events leading to the construction of the memorial and development of Tim’s Ride. He thanked the wonderful supporters and riders for their participation. 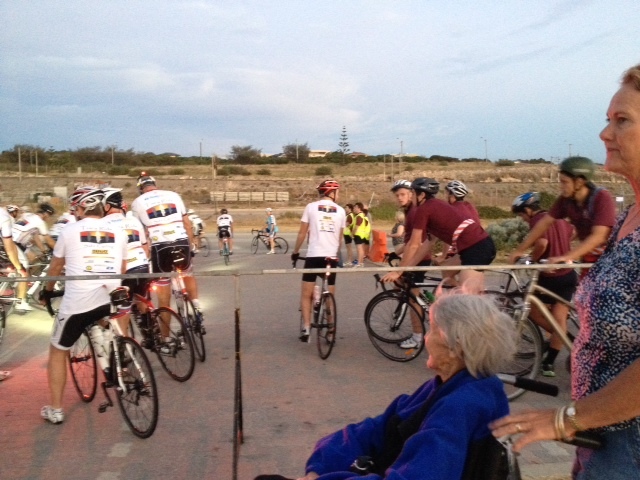 He talked about the aim of the ride to increase cycling safety so other families might not have to suffer. Jenny Allen the CEO of Youth Focus talked about the assistance Tim’s Scholarship was providing to several young people associated with Youth Focus in assisting them to complete their tertiary education. 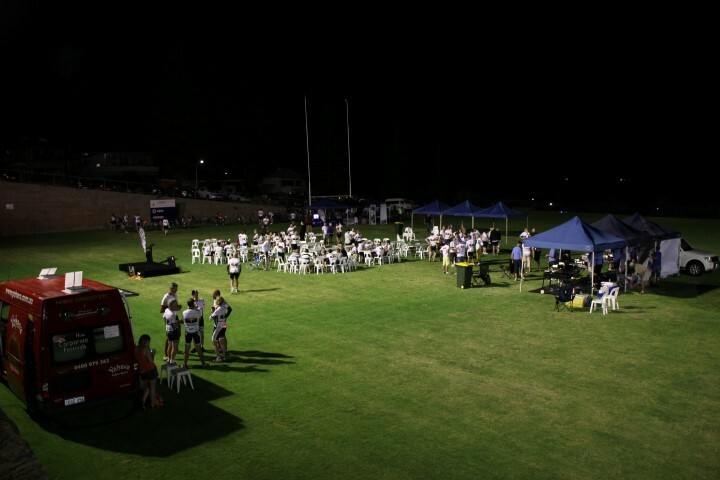 In the evening twilight the scotch college students helped all the riders get organised and then everyone headed on to Harvey Field. 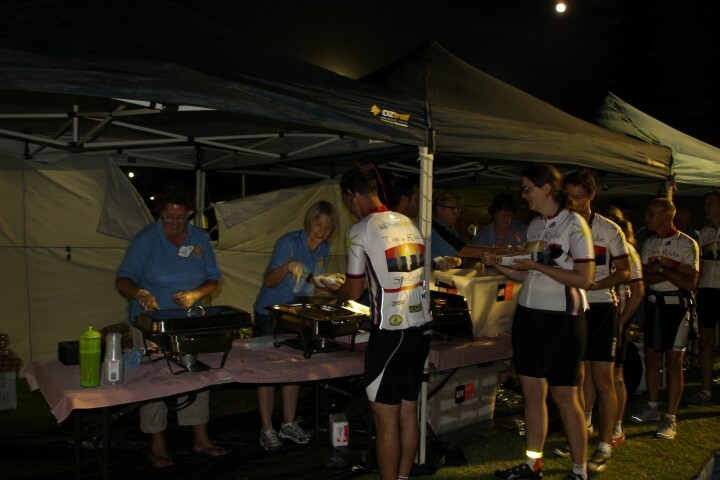 The Rotary sausage Sizzle was waiting and hungry riders were joined by the police and support crew. 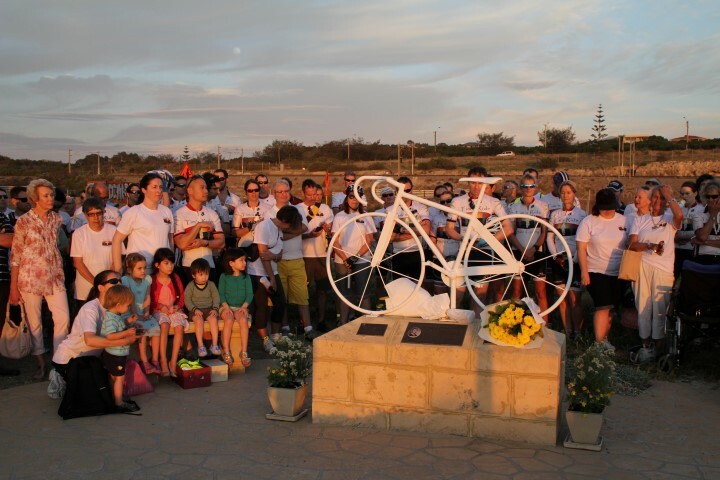 Ian Wee interviewed Jack Bobridge thanking him for taking the time out of his busy schedule to take part in Tim’s Ride and discussing the rigors of taking part in international cycling competition. 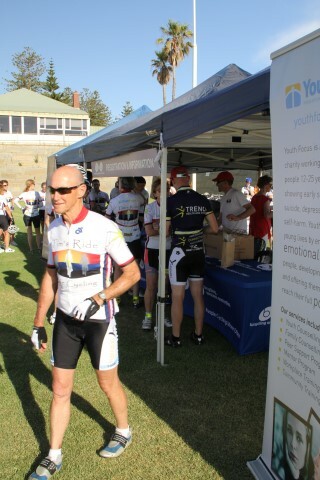 Michael Metcalf talked about the origins of Tim’s Ride and his passion for cycling safety. 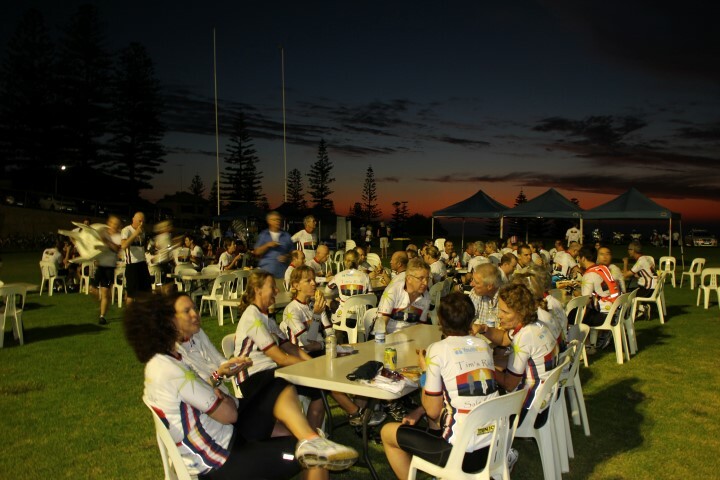 James Sutherland thanked all the many sponsors and supporters while riders enjoyed the beautiful evening and spectacular view. The police mingled with the riders with the riders expressing their appreciation for the wonderful job the police had done. All riders commented that it had been the safest ride they had ever taken part in. 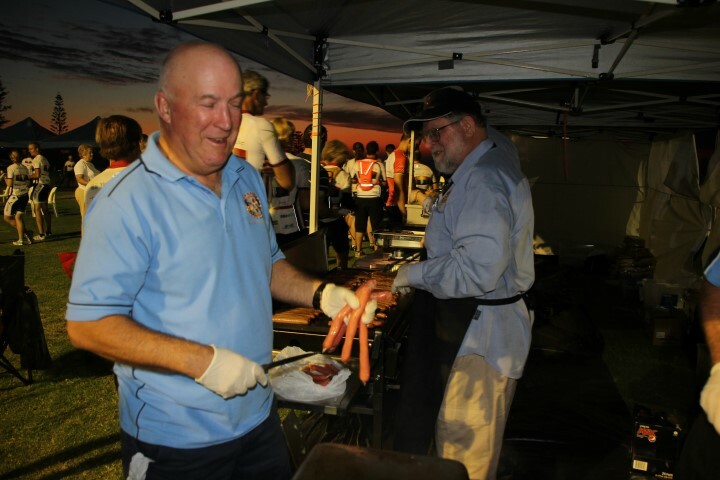 The police indicated that they had enjoyed the event and would like to be involved again next year.